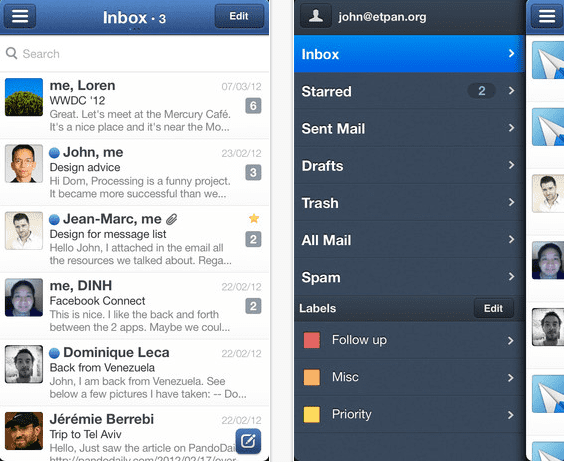 Undoubtedly, Sparrow is still the best alternative to the native application of e-mail that we are in the iOS devices. Although the company announced that it would not focus on updating their applications, after being acquired by Google, the truth is that it has not neglected its users during these months. The latest addition to the stand today in the App Store. The team of developers for iOS Sparrow has released version 1.3.3 which includes user interface tailored for the iPhone 5: now on the screen we see more e-mails in the trays, an update that was important and necessary to improve navigating the new Apple smartphone. The developers have also added support Passbook. Thus, if you buy tickets online and receive in our mail, we can directly store Passbook. Sparrow is available in the App Store for 2.69 euros. Article Sparrow is updated to provide support for the iPhone 5 and Passbook was originally published in News iPhone .